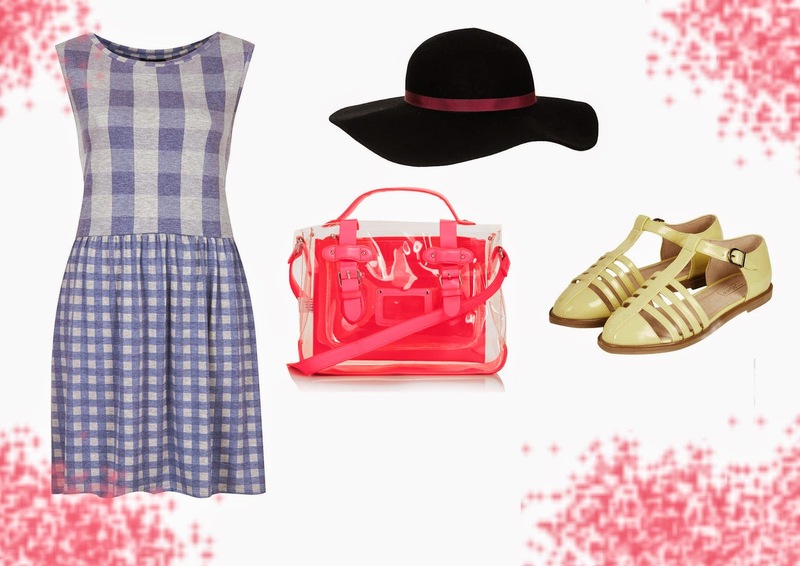 Topshop Wish List For A Summer Style Update! I love to do wish lists due to the fact I cannot buy anything at the moment whilst paying all my money towards my car but its fun to have a look at whats in at the shops right now. I love dresses like these, Topshop always have something I love on the website which makes it harder not to buy stuff. I love the large check pattern on the top and the smaller pattern on the bottom. I would love to pair this beautiful Summer dress with a big felt floppy hat. I love how Binky wore one last night in MIC first episode back on our screens. She is just perfection, I am loving that Lucy Watson is wearing things from Boohoo. These cute geek shoes from Topshop would bring a little sunshine into the outfit which is great. I am on the hunt for some cute Summer shoes and I think that these fit that perfectly. I'm not a 100% on the hand bag but I think its so cute, it reminds me of a bag I would have had when I was younger in the 90's. I love the clear and hot pink contrast. It works well and on holiday it would make a huge statement. There is so much I want to purchase lately, my wardrobe looks horrendous. There is not one thing that I love to wear and if I do love it I've worn it 100 times. I recently moved home and started putting my clothes away and thought that it needs a whole new clear out. I really hope to be able to go on a good shopping spree soon! Would you buy any of these things on my wish list? I keep seeing this ht in blog posts! its so cute. I need it for the summer. Also loving this dress!